Ampalaya, more commonly known as bitter melon, is the edible part of the Momordica charantia plant. This tropical vine grows in Asia and parts of the Caribbean and Africa, and tea made from the fruit and leaves has potential uses in herbal medicine. Ampalaya is called Bitter Gourd or Bitter Melon, is an abundant vegetable that is famous to every Filipino. A tropical plant commonly grown for its edible fruit, probably among the most bitter of all vegetables on earth which is use widely for medicinal purposes in the Philippines to treat some common ailments, particularly diabetes. Ampalaya is also known to alleviate the symptoms of rheumatism and gout, as well as lowering the body blood sugar and blood pressure levels. Ampalaya contains a mixture of flavonoids and alkaloids make the Pancreas produce more insulin that controls the blood sugar in diabetics. Aside from Ampalaya’s medicinal value, it is good source of vitamins A, B and C, iron, folic acid, phosphorous and calcium. Ampalaya is also rich in antioxidants that protect the cells of the body from damage of free radicals (metabolic by-products, usually waste). Ampalaya fruits and seeds are both effective in treating cancer as it contains a-eleostearic acid which is known to induce the death of cancer cells of leukemia. 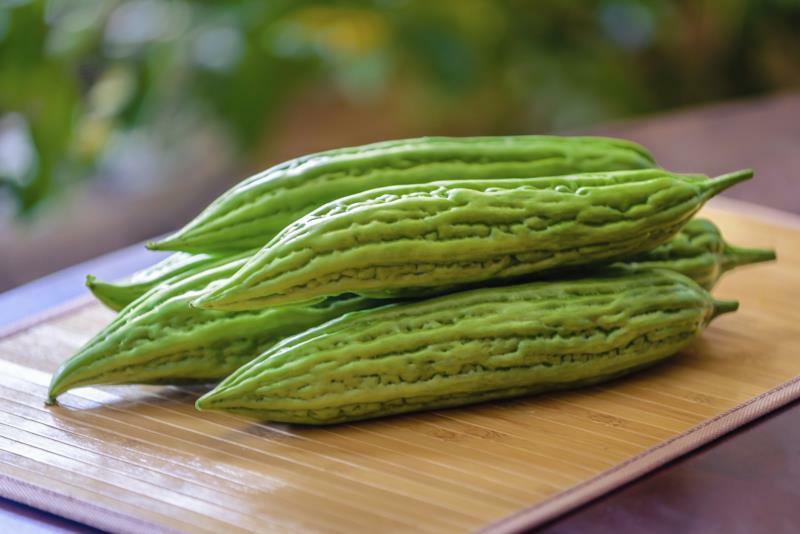 It can also treat colon cancer and breast cancer as Ampalaya helps to kill cancer cells and prevents it from multiplying. The London-based daily, Express.co.uk, reported that researchers from Saint Louis University in the US found bitter melon extracts capable of eliminating breast cancer cells and preventing them from growing and spreading. Many people in Asia consume the gourd in large quantities, so this may be indicative of the lower rates of many types of cancers here. Studies in Manila show bitter melon to have positive effects on not just breast cancer but also leukemia, prostate cancer and HIV. Elsewhere, extracts of the fruit have been found to inhibit the growth of Herpes simplex and Epstein Barr virus. So, add this veggie under your anti-cancer food and gear up to fight cancer. As they say, prevention is always better than cure. Given of course that it has anti-cancer properties, automatically is has antioxidative properties. This can be due to its high Vitamin C content. It has been debunked that Vitamin C can actually prevent colds, but it has been proven that Vitamin C can actually do so much better as an antioxidant. It acts by attaching itself to the free radicals [which causes aging of cells] to prevent the adverse effects of these substances in the body. Bacteria, Virus and all those disease causing agents are everywhere. Without the proper health regimen like a good old diet, ample hours of sleep and exercise, then you might be able to contract diseases that could affect your day to day activities. We all need immunoboosters, and who needs pills and potions if we could eat natural food that would give a healthier effect. 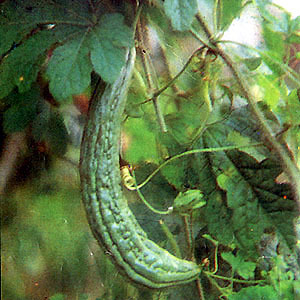 Bitter Gourd is one of the super foods that one can resort to. No, it’s not because it’s bitter that you eventually lose your appetite to eat, but it is because of lectin, a substance present in this veggie that helps you achieve a non hungry effect. Positive results have come back from patients suffering from a chronic cough who add bitter melon to their diets. The bitter melon helps release sputum accumulated within the respiratory tract and lungs. Many who have used bitter melon extract or eaten it regularly believe that it helps relieve asthma. Heart diseases are among the largest killers worldwide. People who are in born with the risk of developing diseases and people who are high risked in developing one may ought to plan a counter attack for this disease to stop it or at least slow down its development. Have you ever heard of LDL Cholesterol? It’s more commonly known as the bad cholesterol and Ampalaya extracts has the ability to bind to these cholesterol to remove them from your system. Not only that, because Ampalaya also has the ability to lower down blood sugar, it helps blood circulation by keeping a good number of solute [which includes sugar] passing through your veins. One of every 10 adults suffers from this disease, and it’s becoming a bigger problem every day. One way this fruit can help is by regulating blood sugar levels. High blood sugar is not a good sign, and most doctors will prescribe medicine to lower it. And what happens when you are all out of meds? You go and get more. This is only prolonging the problem. Controlling blood sugar level through diet is much less invasive. Also, insulin receptors can become ineffective; when they do, they are called down-regulated insulin receptors. Regular consumption of bitter melons can help reverse the insulin resistance effect. Bitter melon helps diabetics treat insulin resistance without medication. This is an important role in prevention and treatment of Type II diabetes, also known as insulin-independent diabetes. This can also prevent further diabetic complications that are caused by chronically high sugar concentrations, such as blindness, kidney diseases, strokes, heart attacks, and diabetic feet. Eating bitter melons, drinking their extract, or even taking them in pill form can reverse the effectives of diabetes. This disease is becoming a widespread issue. 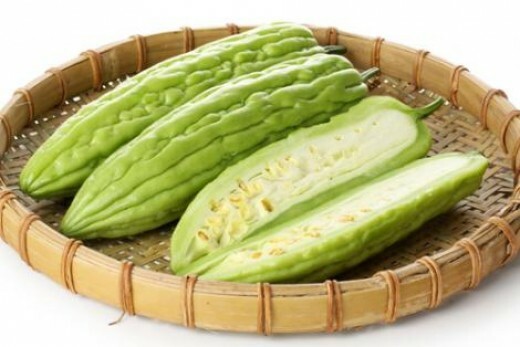 Bitter melon glycoprotein beta-momorcharin helps inhibit synthesis of macromolecules in splenocytes, embryos, and tumor cells. This protein also retards the effects of HIV by using the protein to deactivate the ribosome function in HIV-infected cells. It stops protein synthesis in those cells and eventually kills the cells which are infected. As mentioned in the earlier parts of this list, Ampalaya contains a hefty amount of Vitamin C, a good antioxidant that prevents early onset of aging. It also contributes to skin beautification because of its ability to control the sugar content in your blood which in effect prevents blemishes, and improve blood clotting and healing for damaged skin. Now, this wonder veggie doesn’t just act to help your internal organs, but it also helps beautify your physical appearance. The hair is out crowning glory, but sometimes due to the heavy pollution, and stress, our hair tends to dry up and get damaged [like dandruff, split ends, and tangled]. A lot of aging people have gray hair and hair fall issues too. Fret no more, Ampalaya is to the rescue and here is the good news, if you’re no bitter fan, you can resort to not eating it, because you can resort to juicing and voila, you’re on the way to say goodbye to your bad hair day. Did you know that weight has a lot to do with the diseases that you can contract over time? If you are a health conscious person, you should always keep an eye on your weight. Vegetables such as Ampalaya are great for weight loss because of the low calories, and the rich fiber that they have, plus the high water content that helps you achieve that “feeling full” state. Speaking of high water content and high fiber, this also contributes to improving your bowel movement. A good dose of fiber helps clean your colon, and an ample amount of water helps prevent constipation. Ampalaya can also help with digestion of food by producing digestive enzymes. * Please consult your physician before starting any supplement regiment. Are you looking for High Quality Healing and Health Products? Visit my product page for items like Organic/Non-GMO Supplements, Fitness Products, Juicers, Water Filtration Products, Pet Health, Essential Oils and MUCH more! Previous Beauty Products – Are They Safe?